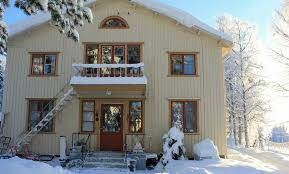 Departure can be from various UK airports for your flights to Lulea via Stockholm Arlanda. Guests will be greeted at the Luleå Airport before making the road transfer to Boden, which takes approximately 35 minutes. 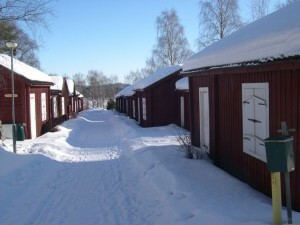 You will spend your first two nights in a comfortable hotel close to Boden’s unique railway-station, not far from the venues of the town. The activities will start in the town centre before you be taken on a trip up through the Lule River Valley to reach the fascinating Treehotel and a three course dinner of local specialties at Britta’s Inn. On arrival you will be shown to your accommodation. Our guide will then give you a short briefing and provide the extra clothing you will need during your stay, this consists of a thermal suit, hat, mitts and boots. Depending on your time of arrival, you can then enjoy a light evening meal or a welcoming drink and a snack, after settling in to your lodging there may even be time to explore part of the town before it is time to retire to your beds. You start the day with a typical Scandinavian breakfast at your hotel. 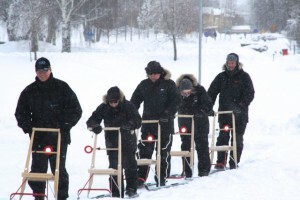 After breakfast, at around 10.00 am our guide will join you before you literarily kick off your winter visit with a guided kick-sled tour of the locality. Our guide will introduce you to our town of Boden, explaining the towns origins, it’s part in the Great and 2nd World wars and how it how it became a very special place in Swedish folklore. He will also talk about the town’s part in what is referred to as the “The Swedish Industrial Mega Structure” and explain all about it. 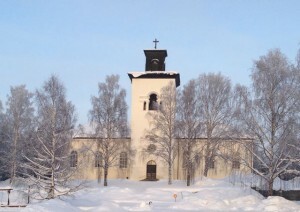 You will also explore to the central parts of Boden, visiting the church and what remains of the old church town. 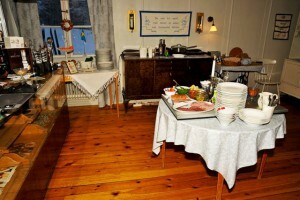 We round the tour off your tour with a lunch at the Norrigården Inn, an old homestead, where you can relax and ask our guide any other questions or explanations you may require. After lunch it is time for some equine activity; you will be driven out into the countryside through the wonderful winter landscape prior to setting out on a on an exciting trip by a horse drawn sled, your journey will take you through the amazing deep snow-clad forest. Our horse-master will be happy to tell you all there is to know about living on the edge of civilization and how to survive, when and if the infrastructure gets totally cut off by the winter snow and ice. When the trip is over, he will take you back to your hotel, where you can take a sauna and enjoy some rest before you visit one of the town’s restaurants. The choice can be made between Swedish, Thai, Chines, Vietnamese, Meat or one of the various Pizza Parlours. 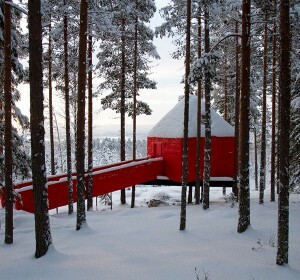 This is your free day with no special activities apart from being taken to the famous Treehotel. Have a look under the tab “Around” to view our suggestions as to how you can spend the day. 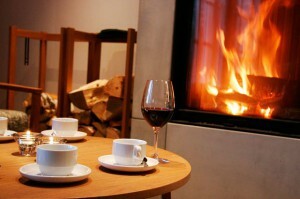 Or you may wish talk to us and pre-arrange some additional activities for the day? 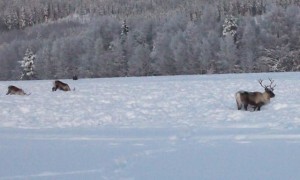 You may wish to enjoy further guided activities, such as dogsledding, ice fishing or snowmobiling. Whatever you choose to do. In the late afternoon, our hosts will arrive and pick you up for an half an hour ride to the north of Boden, where the Treehotel is situated, on the fringe of the small village of Harads. You will be checking at “Britta’s Pension” (which in itself a retro-attraction) Britta also administers the Treehotel. Once you have settled into your tree-room you will make the short walk back to Britta’s where dinner is served, enjoy Britta’s home-style cooking in an absolutely unique 50’s – 60’s atmosphere. After enjoying a hearty Swedish breakfast our guide will take you on a slow ride through the deepest snow-clad fairy-tale landscape, on a wildlife safari. You make a few stop-over at the places where Moose is most likely to be spotted. 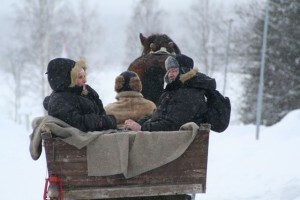 In good time for lunch you will arrive at the other objective of the trip – a visit at the Forest Sami’s place. You will be welcomed by Anette and Lasse, who will be you hosts for a couple of hours and the will serve you a truly Sami lunch in the tipi. Whilst having your coffee or tea, they will unfold the Sami way of life for you, feel free to ask them as many questions as you want, they will be glad explain. 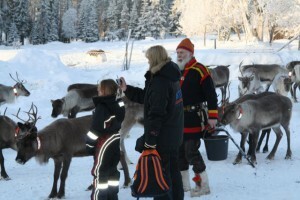 You will also meet the reindeers in their corral to feed and pat them. When the visit is over our Safari continues through the countryside until we return to your hotel. Once again Dinner can be taken at your own choice of restaurant. Sadly today you will leave Boden; after returning your winter clothing you will be transferred to the airport for your return flights. Children under 12 years, 25 % discount: £ 716.00 per child. Please see details of our flight policy displayed here.